Madden Door & Sons, Inc.
Garage Doors & Operators, Sales & Service. 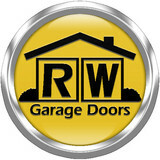 RW Garage Doors is a full service Garage and Entry door company. We install and service residential steel garage doors, as well as manufacture our own line of custom wood garage doors. We specialize in door projects that other companies lack the knowledge, experience and creativity in. We have thousands of satisfied customers and look forward to helping you on your next project. RW Garage Doors is your one stop shop for all your garage door needs. We are equipped to handle any and all garage door related problems at a moments notice. We pride ourselves on our company motto: Call Today, Done Today! We our pleased to carry the full product line of Amarr Garage Doors®, LiftMaster® and Linear® garage door openers and motors, and our very own RW Carriage House handcrafted custom wood garage door line. With a wide selection of traditional steel, aluminum full view, and wood carriage house products, you can be sure to find the product you need for your home. Our RW Carriage House line of custom wood garage doors are made locally in the San Francisco Bay Area at our Vacaville, CA headquarters. Each wood door is handcrafted, piece by piece, with the highest quality woods available. At RW Garage Doors, our highest priority is satisfied customers. You keep our doors open, and because of that, you can expect us to go the extra mile to earn and keep your business and keep your doors open for a lifetime. Thousands of satisfied customers around the Bay Area have experienced our superior service and continue to call us their preferred garage door company. When you expect the highest-quality products backed by unmatched customer service, count on Alhambra Garage Doors. We specialize in the repair and installation of garage doors and openers for homeowners throughout the East Bay area. As the area’s only IDEA accredited dealer you can rest assured you’re working with an industry leader. AAAA Quality Garage Door Co.
AAAA Quality Garage Door Co. is a first-generation family owned business that has been providing the highest level of garage door installation and repair services to Bay Area customers for over 20 years. Satisfaction Through Integrity Simply getting the job done for a customer is not enough in our mind. We pride ourselves on building relationships on trust and integrity - rather than profit like other providers. This begins with a customer's first phone call to us where we will help them over the phone with anything from the basic information they seek to walking them through simple adjustments they can make on their own. We don't inflate our prices or take advantage of a customer's lack of knowledge or understanding of our industry. Rather, we work closely with them to educate them about the products and the process so that they'll feel comfortable every step of the way. Our clients know that they'll get only what they need - not what we can convince them to buy. This type of relationship building has been the foundation of our services and success as a company over the years...and will continue to be so for many years to come. Quality Products In addition to our services vision, we only work with products we believe will be best for our clients in the long-term. As an example of this commitment to product quality, CHI is a preferred supplier because of their elite product and fair pricing...that we can in turn pass along to our customers. We take pride in knowing that through a professional installation of high-quality products, our clients will be satisfied and loyal for years to come. BEST AND LOCAL Garage Door And Automatic Gate Service has been around for over 15 years. Adi, the owner, has been running the business from his home since he started it. He is experienced in garage door and automatic gate sale, repair, and installation. He offers the services to people in the community, and the service is offered at competitive prices. The family-owned business is determined to serve the customers diligently, and we are always available for our clients every day and at all times. The business runs on the basic principle of honesty. The team is dedicated to being honest with the clients at all times. Clients can trust us as we always give the correct answers and address every situation as it comes. Our mission is fixing garage doors to be fully functional within the shortest time possible. The business has a goal to be a reliable company that cares about the satisfaction of all the customers. A happy customer means BEST AND LOCAL Garage Door And Automatic Gate Service is doing its job. Garage Tec is one of the fastest growing garage door companies in San Francisco Bay Area. We understand that a carefully selected garage door not just add value to your property but more importantly, provide a sense of safety and peace of mind for you and your family. Whether you are looking for a traditional garage door or a stylist modern look, whether you are looking for a basic garage door opener or an ultra quiet garage door opener that has the compatibility of giving you full control when across the world, and whether you have a broken spring or just doesn't have a clue why the door is malfunction; we are here to become your one stop solution for all your garage door needs. Our inventory has a wide selections of major brand to fit all your needs and preferences. We can help you choose the right door and opener that just perfect for your home. Our goal is to achieve your satisfaction by providing you with prompt project completions, high-quality work, and reasonable rates. At Garage Tec, we’ve been fortunate and blessed with the opportunity to serve countless families just like yours, and we continue to perfect our craft and give each family the absolute, best experience possible. We are Family owned and operated proudly serving San Francisco & the Peninsula since 1980. Our expert technicians service, repair & install residential garage doors, gates & garage door openers, replacing torsion springs. Anthony's Garage Door Service is a full service garage door and operator company. We are the last call you will need to make. Our experienced repair technicians and installers are highly trained, knowledgeable, and courteous. We service all brands and types of garage doors and openers. All labor and parts are guaranteed. Our experienced professionals carry a wide range of quality parts in their trucks, so your repairs can be completed on the first visit. We give a two hour window arrival time to your home so you don't have to waste a full, or even half, day waiting around for service. 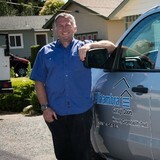 We guarantee that our technicians arrive on time, or you will receive 10% off of your service call. We will not perform any repairs without your prior approval. We will not quote you a cheap price prior to starting the work only to 'up sell' you (insisting that there are other parts you "need") during or after the repair. Nor will we come into your home and charge you outrageously overinflated prices. We charge a fair price for the quality service we provide with the hope that you will recommend us to your friends, family and neighbors or use us again in the future if need be. We will diagnose your garage door system and give you a complete estimate for your repair prior to beginning work. There are absolutely no hidden charges! Spring repairs are our specialty. You can be confident that your door will be correctly sprung when Anthony's Garage Door does the work. Having your door resprung correctly is imperative to ensuring the safety of your family as well as the longevity, and proper functioning, of your garage door opener. At Hanson Overhead Garage Door Service, our business is solely focused on garage doors and garage door openers, making us the definitive garage door expert. Our team has over 60 years of combined experience in the garage door business and we understand the importance of providing garage doors of superior quality and durability. Our family owned and operated business strives to provide our customers with high quality, affordable products and first-rate service at all times. Door Pros is committed to offering the industries’ best customer service, garage door brands, and workmanship. We pride ourselves in providing our customers with same day service and around the clock availability. All Door Pros team members are experienced technicians that arrive fully equipped, ready to handle all of your garage door needs! We are a family owned and operated organization with pride in the personal touch. The Door Pro’s are a motivated and skilled team of professionals with the knowledge and equipment to conveniently take the headache out of you garage door troubles. With 15 years of experience on our belts we stay true to being friendly, helpful and honest. Remaining connected with our customers through online reviews and a devoted customer base is what makes us different than the typical home service company. We thank you for choosing Door Pros - call us today with any questions and to schedule your service! History Established in 1992 We are a 3rd generation family-run business owned and operated by Kim and Greg Berlin. Northgate Garage Doors has been located in Marin since 1975 and the Berlin family has been in the overhead door business for over 55 years. 'My grandfather played an important role in the early state of the door industry in the Bay Area, starting his own overhead door business in 1948 located in San Francisco. "My father moved to Marin in 1975 and started Northgate Overhead doors out of his garage. Some years later he opened 2 more locations. I worked with my father side by side for many years and learned all aspects of the door business from sweeping the floors, to complex problems solving to building custom doors the time honored way. I am proud and thankful to have been able to learn from my father and grandfather, these are things you can't learn from a manual. In 1992 I took over the residential overhead door division and my father is still doing industrial doors today." Ramirez Custom Overhead Doors was founded in 1987 by Rudy Ramirez, a resident of Solano County, who established his Fairfield, California business to bring affordable, high quality garage doors to Northern California. For the past two decades, residents and business owners in Napa, Solano, Marin and Contra Costa – including the South and East Bay areas - have counted on the team at Ramirez to deliver exceptional products and services at fair and honest prices. Today, the Ramirez team includes his son Dan, who manages the family business alongside his father. Committed to the Solano County community, the entire Ramirez family is involved in local charities, always ready to donate or sponsor community organizations making a difference. Ramirez Overhead Doors is a member of the IDA (International Door Association) and NCA (Northbay Contractor Alliance) Alliance) and was selected by based on its reputation for quality workmanship in garage door installation and garage door repair. Committed to excellence, they are licensed with the State of California and encourage customers to check their references for peace of mind and assurance that Ramirez works hard to maintain excellent customer satisfaction. All Ramirez installers are fully licensed, bonded and insured, and trained by Ramirez to provide expert service in a timely and efficient manner. At Halcyon Overhead Doors, we specialize in the installation, repair, inspection and maintenance of residential garage doors, and offer a wide range of doors and openers to fit your individual needs and budget. And while we specialize in the installation of top-quality products, we also carry all the major brands including Amarr, Clopay, Holmes, Genie and LiftMaster. Our broad assortment gives you the widest possible selection of doors and openers to choose from, and we carry them all: steel doors, wooden doors; sectional roll-ups, one-piece doors; insulated and non-insulated. We also carry the new line of versatile and stylish Carriage House doors. Additionally, our technicians are fully qualified to service all brands of doors and openers, regardless of whether we carry the particular brand or model. Broken springs, cables, rollers, panels or openers? Call Halcyon for fast, efficient service. What kind of services do Muir Beach, CA garage door dealers and installers provide? Garage door professionals specialize in the selection and installation of residential garage doors and openers that fit your budget, style and needs. This includes choosing a garage door style — or designing a custom garage door — that blends in with your home’s exterior, selecting materials, determining a technological system that supports your security and access needs, determining proportions and dimensions, finalizing decorative designs and ensuring that everything meets California compliance and building codes. Find garage door sellers and installers in Muir Beach, CA on Houzz. Narrow your search for Muir Beach, CA garage door sellers and installers by selecting the nearest city or zip code. Look at portfolio and product photos, and read reviews to find the best Muir Beach, CA garage door professional for your home.